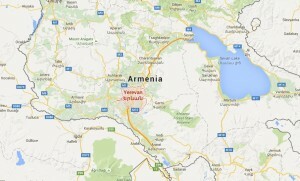 Yerevan, the capital city of Armenia, is one of the oldest cities in th world. 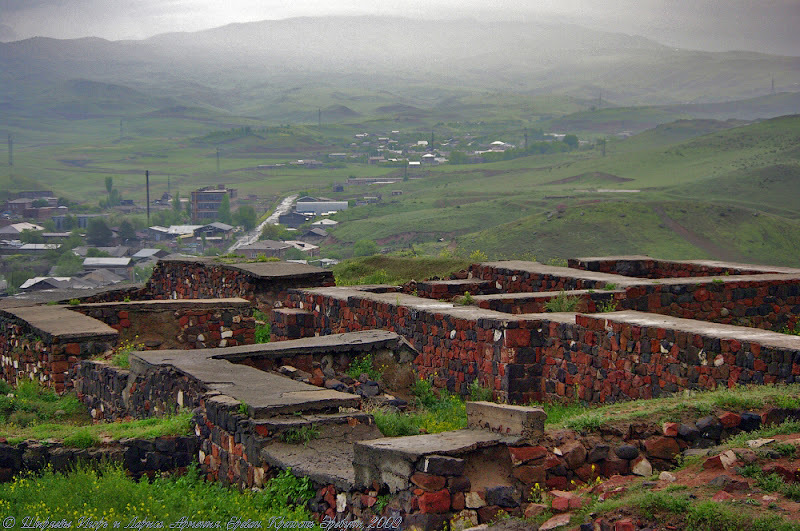 It is situated on the eastern edge of the plain of Mount Ararat and along the river Hrazdan. As it is illustrated in the inscription of King Argishti, Yerevan used to be called Erebuni, which later transferred into Irpuni, Erivuni, Erivan and Yerevan. The history of Yerevan started thousands of years ago, dating back to the eight century BC with the founding of the Urartian fortress of Erebuni in 782 BC and rise of oldest civilizations in the world. 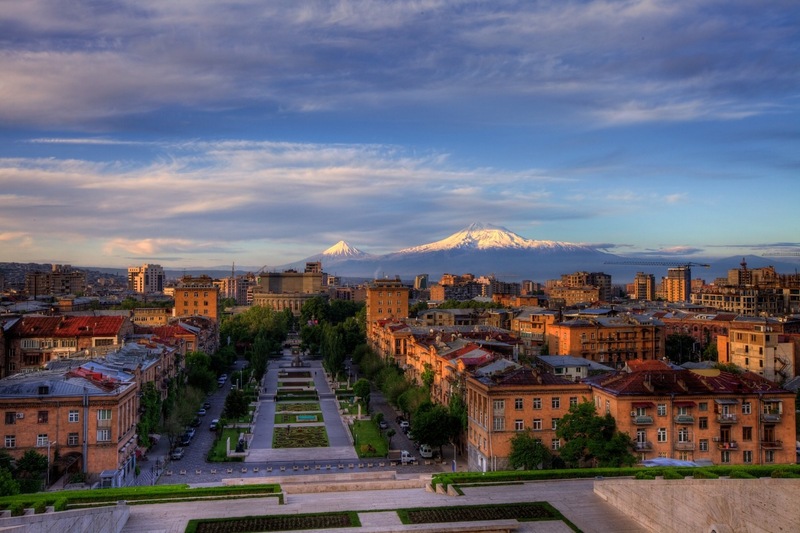 Despite that fact, the capital city of Armenia is a European city, modern, vibrant, full of life, with large squares, wide avenues, green parks, cathedrals, theatres and museums, many terraces. Nature has gifted Armenia with various, unique and high quality stones. One of them is volcanic Tuff. Architects have used tuff to construct many striking polychrome buildings ranging from pink to green. Yerevan is one of the most important administrative, cultural and industrial centers of Armenia. Having been dominated mainly by the Romans, Parthians and Arabs, the city became part of the Mongol conqueror Tamerlane’s empire in 1387. In the fifteenth century, due to the absence of historical data, the time span between fourth century BC and third century AD is known as the Yerevan Dark Ages. Yerevan was under the hegemony of Persia and from the sixteenth to the eighteenth centuries, in Turkish-Persian wars, the city went forth into Turkish from Persian rule fourteen times. On June 7, 1679, a devastating earthquake leveled the city. Yerevan was regularly fought over and passed back and forth between the dominions of Persia and Turkey. Starting from 1747, it was part of the Erivan khanate, a Muslim principality under the dominion of the Persian Empire. This lasted until 1827 when the region was conquered by Russia. Yerevan was the capital of Democratic Armenia from 1918 to 1920, and the Armenian Soviet Socialist Republic from 1920 to 1991. 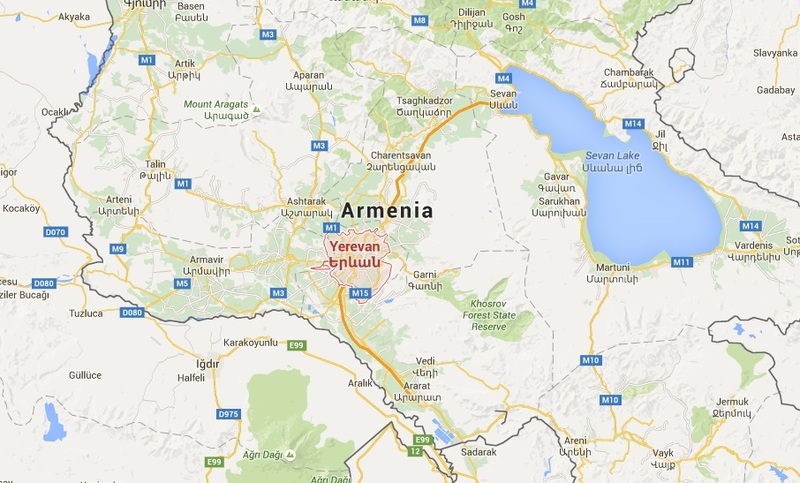 Following the end of the Soviet Union, Yerevan became the capital city of the Republic of Armenia on September 21. The Soviet era transformed the city into a modern industrial metropolis of more than one million people. According to the pre-eminent Armenian architect Alexander Tamanyan, Yerevan also became an important cultural and scientific center. Tamanyan incorporated national traditions with contemporary urban construction. Its design features a radial-circular arrangement that overlaid the existing city. The center of the city is the Republic Square surrounded by beautiful buildings of ministries, the Marriott Armenia Hotel, the Post Office and some shops. The central part of the square represents a motif mimicking the designs of traditional Armenian carpets. At the center of the Republic Square there is a huge fountain located just on the other side of the National Art Gallery and History Museum. North Avenue joins the Republic Square with the Freedom Square, where you can see the building of the Armenian National Academic Opera & Ballet Theatre constructed in 1940 by the architect Alexander Tamanyan. The design and layout of the building were presented at the 1936 World Exhibition in Paris. Not far from the opera is the Cascade, a huge white stairwell built into a Yerevan hillside in the 1970s, with water fountains running down them. In front of the Cascades stands the statue of the chief architect Alexander Tamanyan looking at the map of Yerevan. There is a statue by Fernando Botero a black cat at the bottom. Cascade is a monumental complex of 5 floors, the preferred place of young people. On the escalator you can go up each floor, the latter of which serves as a vantage point where it opens the whole panorama of Yerevan with Mount Ararat. One of the floors occupies the Cafesjian Modern Art Museum with the modern art displays. In the upper platform rises the obelisk memorial to the fallen of the Great Patriotic War of 1941-1945 against the fascist Nazis. 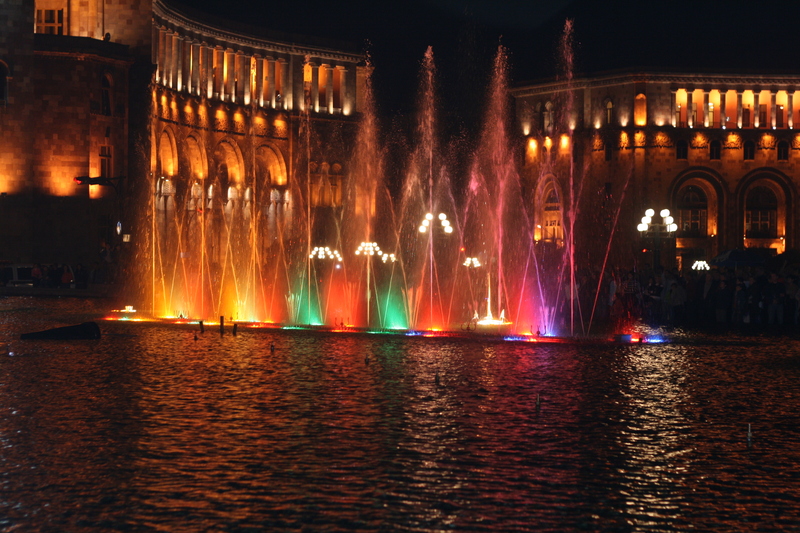 Another beautiful monument is Mother Armenia located in Victory Park, which is only one stop from Abovyan square. It is the statue of a woman placing a sword in its scabbard. On the top of Mashtots Avenue is Matenadaran, the Mesrop Mashtots Institute of Ancient Manuscripts. Matenadaran is one of the world’s largest repositories of medieval manuscripts and books of broad range subjects, including, philosophy, medicine, history, literature and cosmography in Armenian and many ancient languages. There are khachkars and other ancient carved stones in the side porticos. The entry hall of Matenadaran has a mosaic of the Battle of Avarayr. 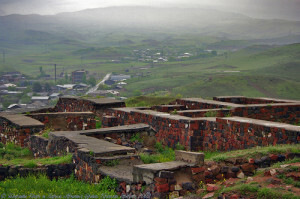 The Genocide Memorial and Museum at Tsitsernakaberd (“Swallow Castle”) is one of the most important places in Armenia, which is located on a hill overlooking Yerevan. Tsitsernakaberd is a memorial dedicated to the victims of the Armenian Genocide it is. Every year on April 24, hundreds of thousands of Armenians visit this memorial to remember and honor the victims of the Armenian Genocide that took place in 1915 carried out by the Turkish government. A striking view of Ararat valley opens from this place. The memorial consists of the 44 meter stele symbolizing the national rebirth of Armenians and 12 slabs positioned in a circle, representing the 12 lost provinces of Western Armenia. In the center of the circle, at a depth of 1.5 meters, there is an eternal flame. Visiting the Genocide Museum people understand that the Armenian Genocide is an important step in preventing similar future tragedies, in keeping with the notion that those who forget the past are condemned to repeat it. 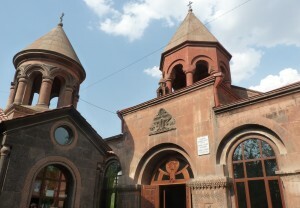 St. Zoravor is one of the oldest churches in Yerevan. There are also Katoghike Church, St. Hovhannes Church, and others. At the end of Mashtots Avenue you can visit the Blue Mosque (the only in Armenia, 1765), the Cathedral Surb Sargís (St. Sergius, XV century) and the covered market with its magnificent gate, the Museum of Modern Art and the proximity Paradjanov Museum. 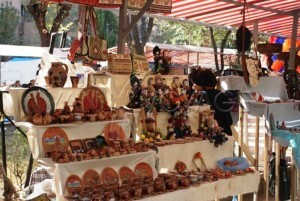 Your impressions of Yerevan will not be complete without a visit to Vernissage, rich crafts market like an open-air museum. Here every Saturday and Sunday skilled artisans display their handmade works of stone and wood, silver and gold, ceramics and pottery, embroidery, carpets, dolls in traditional costumes and other souvenirs. And in the evening you can choose where to go: there are a lot of nice places for people with different tastes.